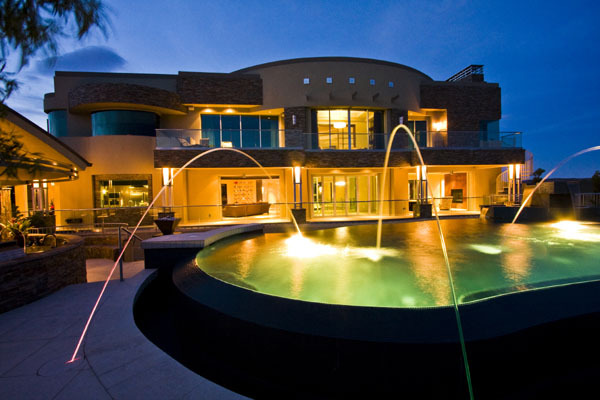 Tucked into the southwestern edge of Summerlin in Las Vegas, Nevada is a gated community called The Ridges. The Ridges is one of the most prestigious communities in all of Nevada and, in 2004, it was hailed by Forbes as one of the top three communities in the country. The first neighborhood that was developed in The Ridges is the Promontory. Anyone who is looking for luxury estates in one of the country’s best gated communities should definitely consider getting a home in Promontory at The Ridges. Located along the northern edge of The Ridges, Promontory has a total of over 50 home sites. The Promontory has easy access to both of the main roads running through and around The Ridges: Flamingo Road and Marble Ridge Drive. As the first neighborhood in The Ridges, Promontory is well-developed, with many of the sites already occupied. With great views of the Jack Nicklaus-designed Bear’s Best Las Vegas Golf Course, breathtaking natural vistas, and mesmerizing views of Las Vegas city, Promontory offers some of the best estates in this beautiful community. Some of the homes in Promontory have great views of Red Rock Canyon National Conservation Area and Red Rock Country Club. Like many of the other neighborhoods in The Ridges, Promontory has private parks and walkways where you can enjoy all that the beautiful landscapes this well-developed community has to offer. Estates at the Promontory range in size from around 3,000 square feet to over 20,000 square feet, which means that you can get a lot that is over half-an-acre large. The average price per square foot in the Promontory is around $1,000, meaning that some of the houses go for tens-of-millions. The large luxury custom homes in the Promontory make it one of the most exclusive neighborhoods in The Ridges. Plus, you can be sure that your home and family will be safe, as the Promontory is a 24-hour guard-gated neighborhood.